Supported using public funding by Arts Council England, Culture Ireland and with the support of the Stanley Thomas Johnson Foundation. Barbican Art Gallery has invited conceptual documentary photographer and Deutsche Börse Photography Prize winner Richard Mosse to create an immersive multi-channel video installation in the Curve. In collaboration with composer Ben Frost and cinematographer Trevor Tweeten, Mosse has been working with a new, powerful telephoto military camera that can detect the human body from a distance of more than 30km and accurately identify an individual from 6.3km, day or night. He has used this technology to create an artwork about the migration crisis unfolding across the Middle East, North Africa and Europe. Narratives of the journeys made by refugees and illegal migrants are captured by this thermal camera which records the biological trace of human life. Projected across three 8 metre-wide screens, the video installation is accompanied by a visceral soundtrack blurring ambient field recordings with synthetic sound design to create an overwhelming, immersive experience. Richard Mosse: Incoming opens in the Curve on Wednesday 15 February 2017. At a time when, according to the UN, the world is experiencing the largest migration of people since World War II, with more than a million people fleeing to Europe by sea in 2015 – escaping war, climate change, persecution and poverty – Richard Mosse’s film presents a portrait of migrants made with a camera that sees as a missile sees. The film bears witness to significant chapters in recent world events, mediated through an advanced weapons-grade camera technology that reads only heat, and is blind to skin colour, capturing glowing bodies crossing dangerous waters, drowning at sea, or sleeping in makeshift camps, presenting a story of humans struggling against the elements for survival. Mosse is renowned for work that challenges documentary photography. For Infra (2011) and The Enclave (2013), a six-channel installation commissioned by the Irish Pavilion for the Venice Biennale, Mosse employed a now discontinued 16mm colour infrared film called Kodak Aerochrome that transformed the lush green landscape of the eastern Democratic Republic of Congo into vivid hues of pink to create a surreal dreamscape. Questioning the ways in which war photography is constructed, Mosse’s representation of the ongoing armed conflict in eastern Congo advocates a new way of looking. In Breach (2009), Mosse embedded with the US Army in Iraq to document American military occupation of Saddam Hussein’s palace architecture. He has also worked extensively along the US-Mexico border, Israel-Palestine, Lebanon, Syria, the Balkans, Haiti, Pakistan, Iran, and other locations. Jane Alison, Head of Visual Arts, Barbican, said: “We are delighted to have co-commissioned Richard Mosse to make this utterly compelling new film work for The Curve. Blurring the boundaries of journalism and conceptual documentary photography, this is a haunting and humane portrait of the millions who are fleeing from wars and persecution. Richard Mosse was born in 1980 in Ireland and is based in New York. He earned a Postgraduate Diploma in Fine Art from Goldsmiths, London in 2005 and an MFA in Photography from Yale School of Art in 2008. He represented Ireland in the 55th Venice Biennale with The Enclave in 2013. He is a recipient of the Deutsche Börse Photography Prize 2014, Yale’s Poynter Fellowship in Journalism, the B3 Award at the Frankfurt Biennial, a Guggenheim Fellowship, a Pulitzer Center on Crisis Reporting grant, and a Leonore Annenberg Fellowship. Mosse has exhibited in solo and group exhibitions internationally at venues such as Louisiana Museum of Modern Art, Humlebæk; FOAM, Amsterdam; National Gallery of Victoria, Melbourne; Reykjavík Art Museum, Iceland; Irish Museum of Modern Art, Ireland; and most recently, Akademie der Künste, Berlin. Richard Mosse is currently in the shortlist for the prestigious global award in photography and sustainability, Prix Pictet, due to be announced in May 2017. Please check here for installation opening times. Incoming is co-commissioned by the Barbican and the National Gallery of Victoria, Melbourne, where the exhibition will travel in autumn 2017. The exhibition is supported using public funding by Arts Council England, Culture Ireland and with the support of the Stanley Thomas Johnson Foundation. Christie©, a global leader in visual and audio solutions, is providing leading visual technology for the exhibition, as part of a major five-year partnership with the Barbican Centre which will transform the public spaces of the Barbican, providing new platforms for its rolling programme of artistic commissions and focal points to communicate with the public in visually innovative ways. In order to realise Richard Mosse’s vision and provide the maximum image quality required for this exhibition, it was vital that the best projection technology available was used. Incoming is projected on to three separate screens each around 8metre-wide in the curved walls of the gallery. Because of the curved surface and scale, James Belso, UK Sales Manager for Christie, worked closely with Richard to select a projector that could warp the image around the arc plus be exceptionally bright to maintain a really strong image. It was also necessary that the projection worked with the content which Richard had shot on military grade cameras. So the projectors also require very high contrast and image quality. Christie is providing three projectors – Christie 3DLP projectors from the M-Series with HD resolution and built-in warping and blending from Christie Twist technology (HD10K-M) the projectors will use 0.67:1 short throw lenses with HD-SDI input cards – where even a detail as small as a human hair can be seen. More information about the projector spec is available from here. A programme of talks and events accompanies the exhibition, including an artist talk and book launch. Check the website for full listings: www.barbican.org.uk/artgallery. Join conceptual artist Richard Mosse as he discusses his experience filming his new multi-channel video installation Incoming with collaborators, cinematographer Trevor Tweeten and composer Ben Frost. Through the subversion of an advanced thermographic weapons camera accompanied by a visceral ambient soundtrack, Mosse and his team document the perilous routes taken by refugees and illegal migrants to Europe, presenting a stark portrait of the humanitarian crisis unfolding. Join conceptual documentary photographer and filmmaker Richard Mosse as he discusses his new three-channel video installation Incoming with writer and academic Anthony Downey. Charting the unfolding migration crisis across the Middle East, North Africa and Europe, Richard Mosse’s new film bears witness to significant chapters in recent world events, mediated through an advanced weapons-grade thermal camera which records the biological trace of human life. The exhibition is accompanied by a fully-illustrated publication, including a newly commissioned text by Anthony Downey, a writer and editor of Ibraaz who has written extensively about the representation of camps, human rights, biopolitics and migration as well as an interview with the artist by exhibition curator Alona Pardo. 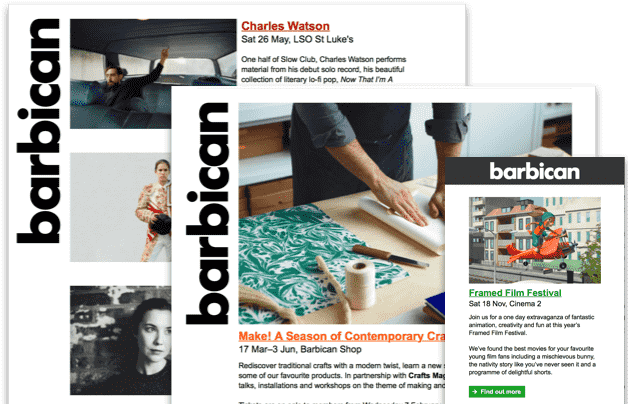 The book is the fifth in a new publication series by Barbican Art Gallery that focuses on the Curve exhibition programme, and launches with a talk by the artist. £12.00. To accompany the exhibition, Mack are publishing a comprehensive book recreating the immersive nature of the film, combining still images from the entire sequence over nearly 600 pages to represent the harsh and compelling narrative in a full bleed layout.